Ahead of next week’s commemoration of the centenary of the Armenian genocide, I spoke to Carnegie Endowment scholar Thomas de Waal about his new book exploring relations between Turks and Armenians in the years since 1915. 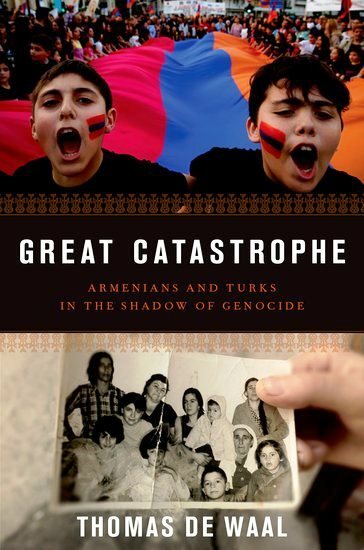 And here’s my review of de Waal’s “Great Catastrophe: Armenians and Turks in the Shadow of Genocide.” Unfortunately our conversation took place before Pope Francis’ remarks over the weekend. Neither could I ask de Waal about Kim Kardashian and Kanye West.